Professor O. was my thesis supervisor. He was a very clever man, a genius, and his insight into complex mathematical problems often surprised me; he was also a very humble man at the same time. Cooperation and learning with him was real pleasure. I was allowed to study individually and with great freedom to choose what I wanted to learn since I belonged to a group of students with the best grades. So I chose Professor O. as my supervisor. Yet, while being an excellent mathematician, he was not really intimate in specificity and matter covered in the studies and thus could not properly select the subject and the scope of my thesis. While my colleagues from the university were writing simple theses that did not require special effort, I was given a completely new formula to derive in the field of differential geometry. This thesis was really about mathematical structures in Einstein’s special theory of relativity, and so, incidentally, I was able to show mistakes in the world famous works concerning so called Marinov’s transformation allegedly calling into question Einstein’s results. However, deriving the new formula turned out to be a very difficult task. I spent hours on end on thinking about a form of a differential operator in some types of the external Lie algebras. One day, after one of such intensive sessions lasting for a few hours, I had really had enough. The problem was not giving up and tiredness was getting mixed up with impatience. I remember putting notes, papers and books together and forgetting it all. I leaned back in the armchair and sat for a long while not thinking about anything and looking at the blank wall. Suddenly something strange appeared. I felt a small sphere of energy approaching me from somewhere. It quietly paved its way as if through some kind of aura layers of physical body and then, on reaching me, burst, revealing to me its contents. In a sudden flash I saw the formula in the final form, the way it should look like. All elements of the differential operator separated clearly in the multidimensional space of the Lie algebra. I watched it bewitched. It was just so beautiful. After a while I saw yet another part of the “message” – a clear indication where-from I should start in order to arrive at the main formula. Instantly, I wrote down both the formula and the hint and right away jumped into the derivation. At that time I still did not understand where the hint came from, what that clear sphere of “foreign” energy was and who had it sent to me. In a sudden inflow of energy, after about three hours of labour I knew already that I had received a brilliant hint. The formula I arrived at was exactly what was given in the hint. It was only then that I was overtaken by real amazement. It was for the first time then and there that I began to realise that Master’s knowledge has no limits. I started feeling a great humility towards Him. This event made me wonder how many of the good results that I have achieved so far were His silent gifts to me. The ponderings of those days fructified very well in the following life and, as it turned out soon, it was just the beginning. The thesis I wrote went onto the shelf (reviewers received it too, of course) and I looked into it only years later. But there was something I was not aware of. I was to go through a difficult exam for my master’s degree. I knew there would be some final examinations but, not knowing why, I made the assumption it would have been about the thesis only and nothing else. I had many other things to do at that time and the last semester of study was free of classes so I had no contact with my friends from the university and lived in blissful ignorance of the inevitably impending event. I did not have the foggiest idea that the exam would be all the subjects of the previous five years of studies, all the specialized lectures inclusive. In effect, while all my colleagues were intensively reviewing the material, I was looking after the Master’s matters more than my own. The exam date was approaching inexorably. The supervisor had to leave for Mexico for a scholarship and was to come back after some time, so it suddenly turned out that the exam date fell on the middle of summer holidays. The examination board makeup was announced a month in advance. It consisted of a world-famous specialist in the field of differential geometry and the chancellor of the university, a specialist on group theory. My supervisor was to be the third examiner. The holidays came. I remember myself sitting at home a day before the exam and, of course, it even did not cross my mind to review the subject matters studied. About 3 PM I felt a sudden impulse: “Take a math book and start reading.” Which? – I asked. 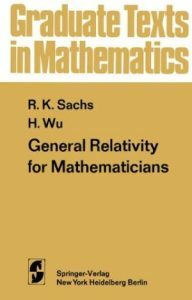 Master pointed to the superb but difficult monograph titled, “General Relativity for Mathematicians” by Rainer Sachs and Hung Hsi Wu. It made me wonder. I got this book as a gift from my father and there had not been any such monograph lectures in the Institute on general relativity for a few years. I opened the book. The next impulse pointed to the chapter “Einstein’s formula.” I read it carefully, took notes on the meaning of main tensors and on three specific cases, where the formula can be solved quite easily. After about two hours I put the book back on the shelf with the sense of well-fulfilled obligation. I know it is strange, but I was not thinking in these terms at all at that time. The next day, and it was July the 23rd, about ten thirty in the morning, I was climbing the stairs to the third floor of the Institute, where the exam was to take place. The building is normally empty during holidays so imagine my surprise when on the stairs I met my colleague Paul from the University. When I saw his castor oil face I could not stop myself from asking what had happened. He grimaced even more. “I did badly in my exam” – he answered. “What did you have” – I showed my interest. “Hmmm” – I was thinking “you could have mentioned yet a few more things like the theories of nucleus, of particle spin …” – I recalled maybe five examples altogether. “Yeees … I am not happy” – Paul said and began walking down the stairs with bowed head. After a few minutes I was waiting in front of the exam room. Right before eleven o’clock, the hour when the exam was to begin, I felt a great calmness coming. It cut off all the pessimism and anxieties. I turned to Baba with silent request for help. “Go!” – I heard in response. I pushed the door and got inside. My supervisor did not make it from Mexico so I had two professors in front of me. “Can you possibly tell us something about your thesis” – began the chairman of the board. I thought for a moment. I had it in my hand about half a year ago… but whatever. I took a piece of chalk in my hand and took a deep breath. The first thought came, then more of them. In a trice I wrote long sequences of formulas with their interpretation on the board. The board became enlivened. More and more questions began to come. After some time I noticed that they were not typical exam questions any more, but my examiners were clearly guided by true curiosity. It was this very moment that I learned and realised that I am to take an exam. I checked the watch. It was twelve thirty. An hour and a half of very lively and interesting discussion passed unnoticed for me. To some it may not seem strange, but uncommonality of this situation was obvious to me. I was only a humble student and one of the professors was an eminent specialist in the subject and a teacher of my supervisor. Getting him interested in the area he had worked for almost twenty years verged on a miracle. And I, with considerable assistance from the Master, had managed to do it. The extraordinary day was still far from being over for the first question was about to be asked. “Could you possibly describe Einstein’s formula for us” – I almost sat down with excitement. Within ten minutes I wrote down two whole blackboards with compact formulas. While finishing deriving solutions for special cases I noticed a look of surprise on the faces of professors. I was no less amazed myself. I presented a compendium of knowledge on a very difficult subject in a very short time and in addition using very original and modern mathematics that nobody lectured and knew at the Institute! “The second question belongs to me” – began the rector after a moment of silence. “Please discuss the theories of degeneracy known to you.” Dear reader, can you see oddity of this situation? What followed was another ten minutes of answers and formulas given with express speed. This enveloped main theories, primary results, formulas and applications. Answers kept coming like shots from a rifle. I must admit the question left me temporarily speechless. Surely, I must have met with this subject in the past, but at that time my mind was blank. All of a sudden, a lucky idea came to my mind. I turned to the Master with request for help and asked Him that very question. After a moment of silence I could hear something like a whisper coming from far away. These were two words: “Gell-Mann.” “Gell-Mann?” – I asked. But suddenly everything became clear. It was, of course, about the Gell-Mann matrices, named after the Nobel Prize winner in physics in 1969 in the field of elementary particles. I quickly described the group of matrices and their basic generators. “So, we have no more questions. Thank you, sir. We must congratulate you for the outstanding knowledge you posses and Professor O. for being capable of educating such superb students.” The two professors shook my hand and asked for the credit book. I left the room dragging my legs and immediately having to sit down on a bench in the hallway. The thought of passing a very difficult exam, or rather about the Master doing it a very witty style, was slowly entering my consciousness … I was overcome by the feeling of great humility towards Him. If I had been able, I would have fallen down to His feet in gratitude for the assistance He had given me in His love. It is difficult to describe the devotion to God I could feel at that time. From my point of view events of that day as well as a few preceding days were simply a series of miracles I was very fortunate to be part of. Baba, while recalling the past I just looked into the credit book. There I found “A” mark, round university seals, signatures of two professors, and no signature of Professor O. I want to thank You one more time for your love-filled help. The master’s thesis examination was one of the most interesting events in my scientific career. Thank you. I feel I should ask You now for a few words of explanation and comment. All right. Firstly know that you had fully deserved my help at the time. You kept approaching me and had put me in the first place in your life and there had been no more important thing for you than my voice. How could I have not assisted you? Secondly, high marks were useful in your later scientific career. You have always wanted to pursue a scientific career ever since you were a child and your life here would not be full without it. Years later, after learning well the pros and cons and achieving success, you were able to leave calmly, having no regrets and not looking back. You had fulfilled your desires and this is what it was all about. You would not have been ready to turn to me without these events. And now, please continue with your story. Let me get down directly to the doctorate. I changed to another university. The doctorate research lasted for four years and it took me a year to write the dissertation. I amended and generalised formulas known for twenty years. The most important formula stretched over twelve A4 size pages. This time I knew of the final exam to come. The Professors of the examination board told me roughly which subject areas the exam questions may relate to, so that I had some ten books to study. But the dissertation supervisor posed a real problem this time. This old professor had told me that only his question would be related to the dissertation itself. The problem consisted of the work being very extensive with quite a large reviewing segment which also included a lot of subjects. Well, as usual, I was always doing something else, with not too much time left for having my nose in a book. I decided at that time to use other abilities to learn what the question would be. The day before the exam I locked myself in the office and sat to meditation. Then I took the dissertation and began to carefully go through the table of contents. In the first place, I rejected subjects that were too complex mathematically, for the professor could not ask me about anything he was not at home with. Well, these are realities of this business. Then I looked through a list of related topics and eliminated them one after another using a similar rule. Finally, after about an hour of work, I had two subjects left. 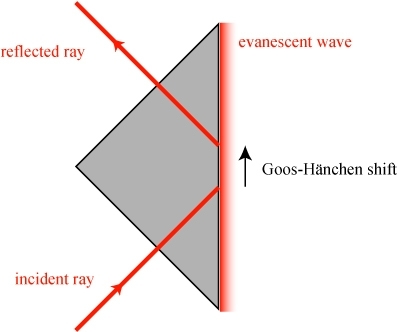 The Goos-Hanchen effect was the first of these; a subject from the theory of propagation that I knew well was the second one. I quietened myself and asked the Master for help. I decided to internally ask my professor for the subject he would choose for his question. After a moment of concentration he appeared in front of my inner eye. I explained that I did not have too much time and therefore I took the liberty of asking him that way. I asked him to choose from the two subjects. The professor stood life-sized in front of my inner eye. He did not say anything, only pointed with his hand towards the Goos-Hanchen effect. I cannot say I liked the answer. I asked him for a second thought. Maybe he will change his mind in favour of the second topic. Knowing the Goos-Hanchen effect only briefly I had no real desire for getting to the book. In my work it stood only for an illustration of more complex phenomena. But the professor chose to stay persistent – again he pointed clearly that his question would be about the Goos-Hanchen effect. After short negotiations he pointed to his topic for the third time. What could I do? I reached for the book and read the appropriate section a few times over and took notes. The next day, my supervisor was the last one to ask me a question. I had answered the first three questions very well and knew I had already passed the exam. Yet, not being able to answer to my supervisor’s question could convey a very negative impression and adversely affect later public defence of my dissertation. I got through a moment of high tension while listening to the question. “Please discuss the Goos-Hanchen effect” – I breathed a sigh of relief. Fifteen minutes later in the hallway I was profusely thanking the Master. I received “A” marks for the first three answers and “B” mark for the fourth. I passed the exam. The day of public defence came. I was entering the examination hall as the fellow (a friend of mine) who was there before me had serious problems. He got assailed with questions and even attacked by one of professors, who publicly accused him of ignorance of the subject. “Well, it can be the biggest flop in my life, but I will not surrender without fighting” – I thought. I was shaking all over while entering the hall and during the beginning of the presentation. After a while I felt an energy flowing in that brought a slight surge of elation. After a while, the calmness that accompanied this energy me made feel like being there alone. I was discussing consecutive slides. After about forty minutes I noticed the director of the Institute signalling to me to finish. The part I was worried about earlier began. It constituted of questions asked by professors and readers, the members of the Scientific Council, and of my answers. And a real concerto began. Questions were asked and I almost immediately and without thinking was giving answers. I did not think where from I suddenly knew all this and why it was so clear. Solutions kept coming immediately and so easily. My voice wavered once while answering a question on stochastic equations, a topic, objectively speaking, I knew rather poorly. I answered using as an example the variable thickness of the wooden pointer I had in my hand. At this point I was really surprised myself by the easiness and elegance I presented the solution to a very difficult problem. I would like to add that I have never deliberated of the problem before nor did I know the solution. It just came with extreme clarity and accuracy at the time I was standing in front of the crowd of people who filled the hall. After the defence was over I was accepting congratulations on my last legs. These were strange congratulations. Firstly, all members of the Council congratulated me, even those, who earlier were hostile to me and used to show it openly. Secondly, one of the professors said that she had just attended one of the best lectures in her life. Thirdly, the Dean of the Faculty, while congratulating me on the brilliant style of the presentation said that he would make every effort for me to get employed in the Institute – if I only wanted to, of course. At that time I thought the world of science and of course I wanted the job. The Council unanimously awarded my doctoral dissertation with honourable mention and the Dean granted a prize. This was how my scientific career started. It is difficult today to describe the devotion and humility I felt towards Master after leaving the exam hall. Someone else deserved this title, not me. But the Master, as He is, does not care about titles at all. I kept thanking the beloved Master for a few days. Today I thank Him again for His help and, first of all, for His love. Today, years later, I look back to the work at the university with a great fondness. I liked the classes with students very much, although I was probably overly liberal. In effect, while my friends had moderate numbers of students, I always had them in excess. Yet, after a few years I felt clearly that a scientific career was not for me. Then I began to ask Baba for finding me a place where I could be more useful for Him so I would not waste my life poring over paperwork. Baba has fulfilled that request. Years later I realised that an academic degree and the feeling of superiority that accompanies it are a serious obstacle in life so I decided to never use it again, unless I had to mention it in some documents such as a biography. This is a good idea. Degrees puff out the ego and then due to this you have much trouble. You should have done it right after leaving the university, and not waited for that long. Yes, I apologise to You, Baba, for waiting so many years. I thought it did not matter, but it did and much too. If you had listened more diligently to what I was telling you over these years and decidedly brought my hints into effect you would be in a different place today. Yes, Baba, I apologise to You for wasting of so many of your gifts and clemencies being busy with myself. Today it is of no use to cry over spilt milk, but all of you could try harder. Put into effect more assiduously the good things that I inspire upon you. Instead of reading through twenty books, read one—and put the ideas learned into action in your life. You attach too much importance to theory while passing over practice. It is not good. You give chase to false lights, whereas attempts to apply would immediately bring the answer whether a theory is well-grounded or not. You do not take care of your time, but contrary to what most of you think, you have very little of it. Given that you do not know tomorrow it means that you may end your life as early as tomorrow. Every day could be the last day. How few are the people who are concerned or at least think about this issue. You chase after richness, importance, whereas you have come naked to this world and naked will you leave it. You will not take anything with yourselves, except, perhaps, the load of desires and attachments. You do not look up to the gift you have received. For a change, think today, even if for a moment longer, about the sense of your life and about anything valuable you have been able to do in it. Take a piece of paper and a pen and write down the ten most important things you managed to do for others. Will there be ten? They are very valuable on the other side. But how few of them there are in life! Make them happen much more often. Baba, to be sure I would like to ask you if both these stories are to be placed here or perhaps only one. Or should I give them in another place? What is your will? I am changing it right away. Thank you for the suggestion. Master, I have yet another remark on the text above. I have just read it as one piece and must mention that what You say in other parts of this work has quite a different emanation from my memories from the past. Whereas your words cause elation and calmness, the turning towards the facts from life and these kinds of stories makes me feel at a loose end and it is accompanied by some heaviness in the heart. These are good observations. But reading a great quantity of my teachings all the time is tiring for people. Let us leave this part just in this place simply for entertainment, as an interlude. Although it is nothing important, yet it allows having a rest before moving on to other matters. Your questions and comments about life matters embellish the text and allows placing of my teachings in the realities of life. Also, while reading what I have written I realise, (or at any rate begin to realise) that my attitude to science, academic staff and my past is improper. It is also reflected in this part where the emanation is not absolutely pure. As if something else in this world besides You deserved enthusiasm. As if there was something more important, worthy of delight in and being recommended to anyone, than the path to You and your love. This observation is proper too. There is too little Divinity in this part, too much turning towards matters of the world and materiality. This does not uplift. 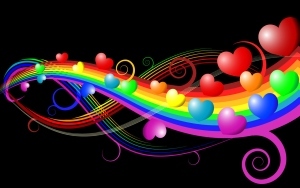 Your accomplishments, whatever they would be, are nothing in face of the majesty of Love. But let us leave this part as an interlude provided with your and my comments. One of the conclusions from this experience is the observation that if we are not engaged in something useful, on which we should focus our attention, then it is best to stay by your side, at your feet or in your embrace. We waste so much time unproductively. This is a valuable observation – only to put it into practice. Moreover, if you turn to me even in the case of “issues that require being focused on,” they also will be dealt with much more easily. Try and stick to it. This book destroys the bases of social order, false bases you have been stuck in for centuries, and directs you onto paths of Divinity. Divinity resides in your hearts and the time has simply come for this to manifest externally. Keep turning with fervent prayer to God for help with this. Man is the ornament of the Earth – man who devotes his life to studies of and aspirations after the loving Divinity. God’s love is your heritage and destiny. The Crooked Forest – symbol of human destiny. We are born because we want to be born – through desires and the bundles of thoughts called Mind. When we let go of the false bases of social order, we grow straight; straight towards Divinity.